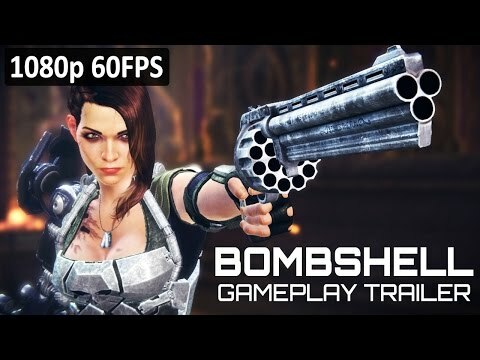 Download game Bombshell right now! A dangerous universe requires an even more dangerous hero. Enter Bombshell. History in the Breaking: Be part of Bombshell's debut as she fights to save the president and her people from a maniac's mechanical monstrosity. Brave New Worlds: Traverse the dying world of Kyrron as it's consumed by its neighboring sun, discover the secrets of a civilization frozen in time on the distant world of Zeroth and travel to the epitome of technology -- a villain's vision which threatens to consume all that exists.